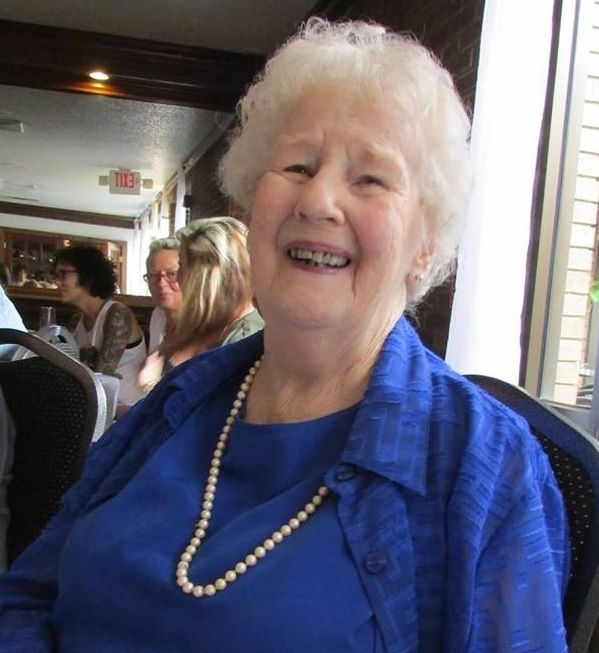 Frances Sanders Clark, age 83, of Hickory, formally of Pittsboro, died peacefully on Monday, September 3, 2018 at Kingston Residence in Hickory, North Carolina, where she resided for the last 9 ½ years. Frances was born on October 4, 1934, in Chatham County. She was the only child of the late Benton Sanders and Nellie Sanders Farrell. She graduated from Pittsboro High School and attended Woman’s College of the University of North Carolina in Greensboro, North Carolina. She was married for 54 years to the late Clarence Edward Clark. She is survived by three children; Clarence Edward (Eddie) Clark, Jr. and wife Mary of Pittsboro, NC; Sharon Clark Wilson and husband Jack of Hickory, NC; Lisa Clark Deutsch and husband Paul of Jefferson City, MO. She is also survived by five grandchildren and three great-grandchildren. Frances worked for many years in the Clerk of Court’s Office in Chatham County and was Assistant Clerk of Court when she retired. She was a lifelong member of Hanks Chapel United Church of Christ where she served in a number of capacities. The Lord gave Frances a creative spirit. She used that gift to honor God and bless others. She was a natural at any type of craft or needlework. She was a master at the art of entertaining and enjoyed cooking and decorating her home for parties and holidays. Frances saw the simple beauty found in nature. Working in her vegetable and flower gardens filled her with joy. She was a talented floral designer, creating arrangements for church functions and weddings. She always enjoyed doing for others and spoke of the blessings she received from giving. She will be missed by all who knew and loved her. A Graveside Service will be held Thursday, September 6, 2018 at 11AM at Hanks Chapel Church with Rev. Paul Deutsch presiding. The family will greet friends in the fellowship hall immediately following the Graveside Service. Her children wish to thank the staff of Kingston Residence and Hospice of Catawba Valley for their kind and loving care. In lieu of flowers, the family asks that donations be made in Frances memory to Hanks Chapel Church P.O. Box 366 Pittsboro, NC 27312 or Catawba Hospice House 3975 Robinson Road Newton, NC 28658. Donaldson Funeral Home & Cremation is honored to serve the Clark family.